This Firm represents Nonami Oglethorpe, LLC (“Nonami”), owner of Nonami Plantation in Dougherty County, Georgia (“Property”). 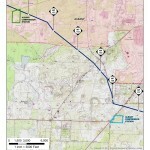 Nonami has been made aware of Sabal Trail Transmission, LLC’s (“Sabal”) proposal to construct a natural gas pipeline compressor station (“Station”) very close to the Property, and has reviewed a copy of Sabal’s application (“Application”) for a PSD Construction and Operation Permit (“Permit”) for the Station. Nonami has serious concerns about the Station’s potential impacts on the natural environment of the Property, the health of its human residents, and the use and enjoyment of the Property. Accordingly, on behalf of Nonami, the purpose of this letter is to provide written comments on the Application and urge the Georgia Environmental Protection Division to (i) deny granting, or altematlvely, (ii) significantly condition, the Permit. The impact of most urgent concern to Nonami relates to the Station’s projected emissions of air pollutants and their effect on the natural environment of the Property. 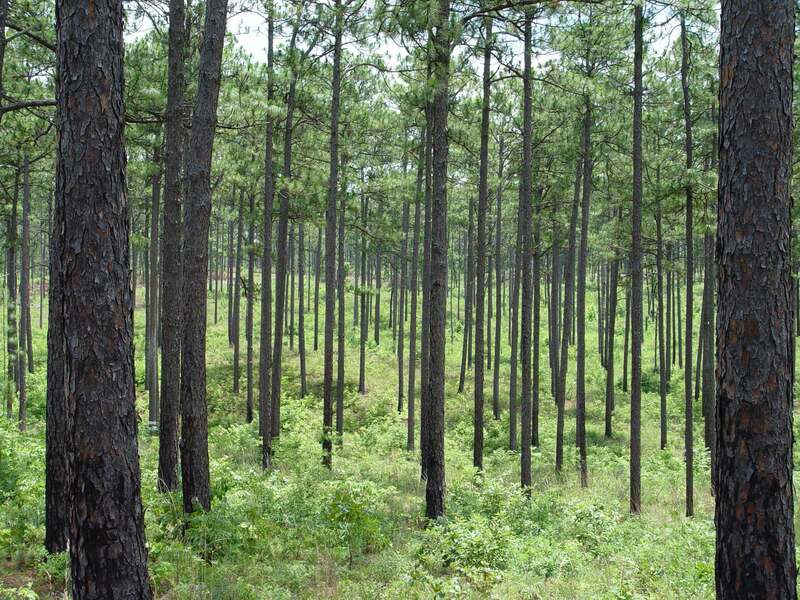 The Property features extensive areas of significant conservation value, including over 3,300 acres of natural upland forest (including almost 1,000 acres of rare longleaf pine), over 650 acres of bottomland hardwood forests, nearly 40 acres of depressional wetlands, numerous fresh water springs and seeps, and almost 4.7 miles of frontage along the Flint River. The mosaic of forest types and Water resources on the Property provide habitat for a wealth of species of mammals, reptiles, amphibians, resident birds and migratory birds. 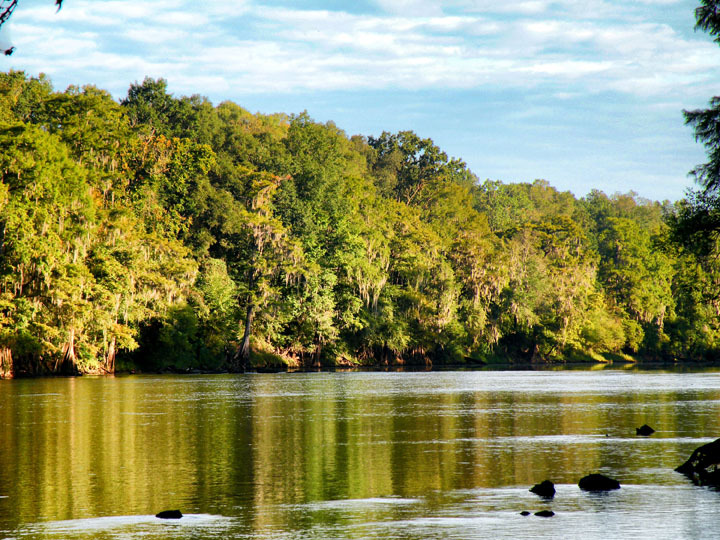 The superior nature of the Property’s conservation values is reflected in their protection via a qualified Conservation Easement held by the Georgia Land Trust. All of these exceptional conservation values are likely to be sensitive to, and thus may be at risk from, the Station’s projected emissions. In reviewing the application, it appears that the Station is projected to emit over 187,000 tons per year of CO2e, 57 tons per year of volatile organic compounds (“VOCs”), 45 tons per year of oxides of nitrogen (“NOX”), and lesser amounts of several hazardous air pollutants and particulate matter. The dispersion modeling appears to indicate that these emissions will travel onto the Property, which is less than 1/4 mile away to the southeast. It has been well established that NOX in the air can damage the leaves of plants, decrease their photosynthetic capacity, and decrease their growth. In addition, when deposited on land and in estuaries. lakes and streams, NOX can acidity and over-fertilize sensitive ecosystems resulting in a range of harmful deposition-related effects on plants. soils, water quality, and Fish and wildlife (e.g., changes in biodiversity and loss of habitat, reduced tree growth, loss of fish species, and harmful algal blooms). VOCs are also known to impact the respiratory and neurological systems of wildlife, particularly birds due to their higher breathing rates and weaker systems. VOCs can also contaminate streams, impacting fish species, and can also impact invertebrates with thin, fleshy outer coverings. Individual or collective impacts such as these on the Property could have a devastating effect on the biological integrity that makes the Property so unique. In addition to the impacts of these pollutants on the natural environment of the Property, Nonami is also concemed about impacts to human health. It is well established that NOX and VOCs especially have the potential to harm respiratory, cardiological, neurological, or kidney functions. Small levels of NOX can cause nausea. irritated eyes and/or nose, fluid forming in the lungs and shortness of breath. Breathing in higher levels of NOX and VOCS can cause rapid, burning spasms, swelling or the throat, reduced oxygen intake and lung damage, dizziness, nausea, fatigue and nosebleeds, and can also be carcinogenic. The combination of VOCs with sunlight can form ground-level ozone, which can cause respiratory problems, chest pain, coughing and congestion. Another pollutant of concern from the Station is noise. Compressor stations are notorious for the amount ofnoise they emit during operations, and such noise can have a major impact on wildlife and people. Certain species depend heavily on hearing for courtship and mating, prey location, predator detection, and/or homing. Given the abundance of wildlife species on the Property, especially birds (both game and non-game), Nonami is gravely concerned that noise will disrupt the Property’s Wildlife and especially the quail population, which is a central component of the Property’s well known hunting program. With regard to people, according to the World Health Organization, noise can cause pemianent medical conditions such as hypertension and heart disease, hearing impainnent, communication problems, sleep disturbance, cognitive effects such as memory problems, reduced performance, behavioral symptoms, and more. Low-frequency noise, which is caused by compressor stations, can also cause vibro-acoustic disease, leading to cardiovascular symptoms and decreased cognitive skills. Yet another issue of concern to Nonami is the fragile nature or the geologic underpinning of the general area where the Station is proposed to be sited. It appears that the Station may sit directly above or adjacent to a compound sinkhole Formation, which poses a higu risk of collapse, consequential rupture, and explosive emissions. As a close neighbor of the Station, the Property would likely receive the fallout of such an event. For all of the aforementioned reasons, we believe the Permit should not be granted for the Station. If it is determined that a Permit should be granted, then Permit issuance should be conditioned on the use of electric powered compression (in lieu of gas-fired compression), which will significantly reduce the amount of air pollutants and noise emitted by the Station and in turm dramatically lessen the impacts on the ecological integrity, use, enjoyment and value of the Property. Electric compressors are widely used for natural gas compression in the gas industry. and facilities that use electric compressors elsewhere have discovered the payback period is relatively short, so there is not a significant economic hardship. Further, our understanding is that there is ready access to electricity distribution at or near the Station site. Moreover, we believe that on-site solar can and should be used to supplement the grid—based electricity that would be the primary power source for the Station. Accordingly, Saba] should be required to use an electric compressor as the best available control technology (“BACT”) for the Station. In addition, there needs to be comprehensive geological analysis to determine the long term safety and security of the site and require any safeguards necessary to prevent catastrophic collapse. Thank you for your consideration of these comments. If you have any questions concerning this letter or its contents. please contact me at 404-588-0505 or jmarks@dpsslegal.com. It seems that these compressor stations produce hazardous waste. I believe that Suwannee County has an ordinance prohibiting enterprises that produce hazardous waste. Could the proposed compressor station in Hildreth be banned due to this ordinance?